North Korea reportedly wants the U.S. to make a "bold move" and agree to a peace treaty to officially end the Korean War as part of measures to guarantee the regime's safety. 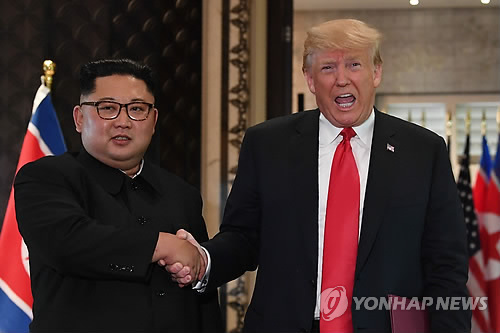 Quoting a source with knowledge of North Korea’s position, CNN reported on Monday that continued denuclearization negotiations between the two sides hinge on Washington’s willingness to agree to a peace treaty with Pyongyang. 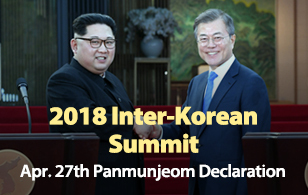 The source said that if Washington is unwilling to replace the armistice agreement that ended the Korean War to ensure the survival of the Kim Jong-un regime, Pyongyang will likely not proceed further with nuclear talks. The establishment of a legally binding peace treaty would require two-thirds approval of the U.S. Senate. CNN said that the North feels it has held up its end of the deal agreed at the U.S.-North Korea summit by freezing its missile and nuclear tests, destroying a nuclear site and planning the repatriation of war remains of U.S. service members. According to the report, Pyongyang wants Washington to start lifting sanctions in return, but U.S. officials say Trump is privately frustrated about the slow progress since he met Kim last month.